Don’t let the loss of DPP put you off ‘Gus. There is an interesting pattern that happens most years in fantasy currently playing out. A dual position player will get midfield time and absolutely blitz it the year before. We’ll all have jumped on at some point and watched this cheap defender or forward pumping out awesome scores while patting ourselves on the back if we picked him early. Then the next preseason rolls around, the positions are released and this new midfielder is now only available as an expensive mid. Suddenly he’s far too expensive for us and we move on to look for the next breakout fwd or def while picking our usual midfielders. There’s a few reasons this tends to happen. Perceived value is one, we look at a player we only paid half the price for last year and suddenly at their full price they look overpriced. Another is that while they may have been a top 5 defender or forward, we don’t believe they’ll be in the top few midfielders at the end of the year and in most cases we’d be right. Taylor Adams two years ago was one of the most selected defenders, as a mid only last year though he barely couldn’t touch the elite group. I strongly believe Angus Brayshaw will buck the trend this year. While many picked Brayshaw to breakout last year during the preseason, he started the first few games of the year in the VFL, was emergency twice and then had to work his way into the Demons midfield rotations. Once he got in there, he didn’t look back scoring 100pts or more in 54.5% of his games and 120pts or more in 27.3%. From round 7 onward he averaged 112 including scores of 166, 133, 143 and 142 showing us that he has a serious fantasy ceiling and that the Demons midfield is now the perfect fit. With Oliver and Viney copping the tags and doing the grunt work at the coalface, Brayshaw seems to have been given the licence to run around free most games and just hunt the ball with the exception of a few run with roles we’ll look into later. While I mentioned Brayshaw’s slow start to the season, it’s his finish that has me optimistic. Angus raced home averaging 122 in his last 5 games of the home and away season. This finish also saw him race home in the Brownlow votes, finishing 3rd in the elite company of Sidebottom and Mitchell. With only 9% of coaches selecting Brayshaw so far he could end up being quite the sneaky POD to have in your head to head match ups. Your team structure would be the biggest reason to overlook Gus this year. With the midfield value in Dusty and Bont hard to ignore, finding the extra cash to squeeze in a $763k mid is extremely difficult if you aren’t completely sold on him. Why wouldn’t we be completely sold on him though? That’d be because of his team role. On a good day, Brayshaw gets to tear around the field and rack up fantasy points, however he does get given jobs now and then. This is the curse of being the 3rd midfielder behind Viney and Oliver. The jobs are generally run with roles which he does do very well, to the detriment of his own scores as evidenced with his 47 points against Collingwood in round 12. While these are the exception to the rule, they will hurt a lot more this year after paying $763k. 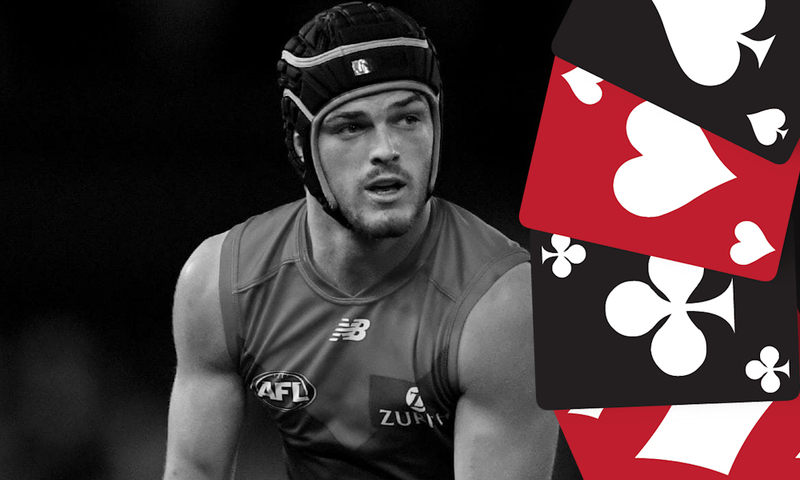 KING – I’m making the call on this one, by the end of the year Angus Brayshaw will be one of the highest scoring midfielders. Either join the 9% who have him now or spend the year trying to get him in! What will Brayshaw average this year? Was very keen but remember reading he has had an interrupted pre season? Had him locked since day 1. He was astounding in the back end of last year. Are you at all worried he only averaged 89.7 against teams who made the finals in 2018? Did i mention in the finals against the Hawks, Cats and Eagles he only averaged 83.3.. His average is soooo over inflated by massive games against bottom teams..
Great critical analysis Anthony! I feel pretty comfortable picking him and see further growth and development this year. Damn I’m super tempted by Gus.